Industrial Sewing Machines Motor - H. S. Machinery Co.
H. S. Machinery Co., Ltd. is a highly-qualified, Taiwan-based supplier and manufacturer of sewing machine motor as well as mini ac servo motor, motor, and 3 phase motors. The supplier has been recognized as one of the most professional manufacturers in the machinery industry since 1961. With both experience and innovation, the supplier is confident of providing buyers with quality industrial sewing machine - mini ac servo motor. The industrial sewing machine motor is offered by Hohsing machinery, a reputed manufacturer of versatile motors for different applications. We also serve our valued customers with mini AC servo motor and sewing machine as well. Equipped with communicated interface, the industrial sewing machine motor can be linked to computer, therefore has position adjustable by parameter. Five position modes are available for the sewing motor. With simple and beautiful outlook, it is designed for motor running as clutch motor. Especially of light weight of 9.9 kilograms the industrial sewing machine motor operates in one-shot to improve sewer efficiently. The solenoid of motor supplies 24 / 30V voltage, and high voltage ranges from AC160 to 280V can be applied. 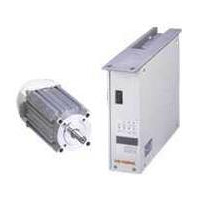 Furthermore, this motor also provides automatically circuit protection during solenoid damages. Owing to easy operation, this industrial sewing machine motor is driven directly without belt and synchronizer controlling. Moreover, this device deals in error code storage and auto learning function with easy maintenance. More details for the motor are high torque output and fit for different materials of extreme thickness. We will develop great service for your demands. Please feel free to contact us soon.